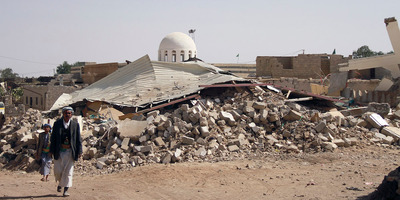 Reuters stringer photoPeople walk past debris in Arhab, Yemen in January 2013 after a Houthi bomb was dropped there during a fight against Sunni tribesmen. Planning for safe travel usually includes leaving contact information and knowing whether it is safe to drink the water – but for some countries, the US State Department suggests more dramatic measures be taken. For some countries, travellers may want to consider drafting a will and designating beneficiaries. And for the most dangerous destinations, State even suggests leaving a DNA sample with a medical provider – just in case. Drum-Cussac, a risk assessment and management company, recently published its 2019 World Risk Map, which compiles data in five categories to assess travel risks. The main factors include political, security, medical, infrastructural, and environmental risks. Within these categories, countries are assessed for threats such as terrorism, access to medical care and clean water, violence and crime, and political stability. The map provides an overall assessment for every country in the world; here’s a look at the top ten. 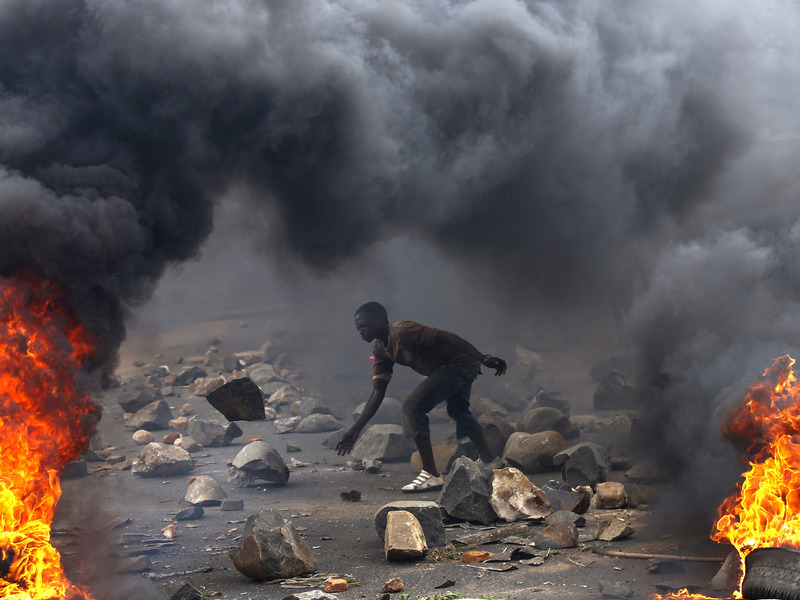 Goran Tomasevic/Reuters photoA protester sets up a barricade during a protest against President Pierre Nkurunziza during his bid for a third term in Bujumbura, Burundi in May 2015. Sharing its borders with the Democratic Republic of Congo, Rwanda, and Tanzania, Burundi is considered politically unstable and vulnerable to disease outbreaks. The CIA has noted the nation’s “non-democratic transfers of power,” pointing to a history marred with assassinations, a brutal 12-year civil war, and controversial 2015 election that included a failed coup. 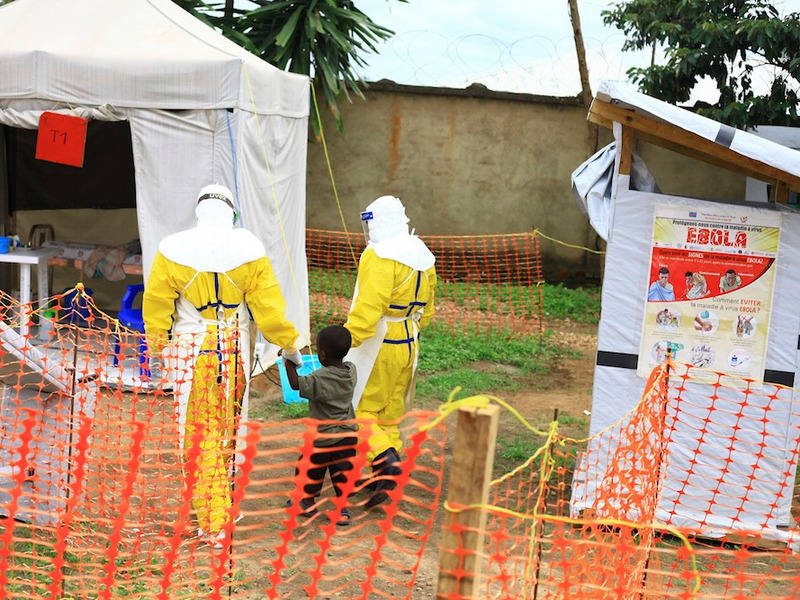 Al-hadji Kudra Maliro/AP file photoHealth workers walk with a boy suspected to be infected with Ebola at a treatment center in Beni, Democratic Republic of Congo. World Health Organisation says the risk of spreading the disease is very high, and this outbreak is made more complex by insecurity from rebel groups. Democratic Republic of Congo ranks as Drum-Cussac’s most environmentally risky travel destination. Armed groups have littered the nation with landmines and unexploded ordnance, and the country suffers from flooding and landslides during its rainy season. 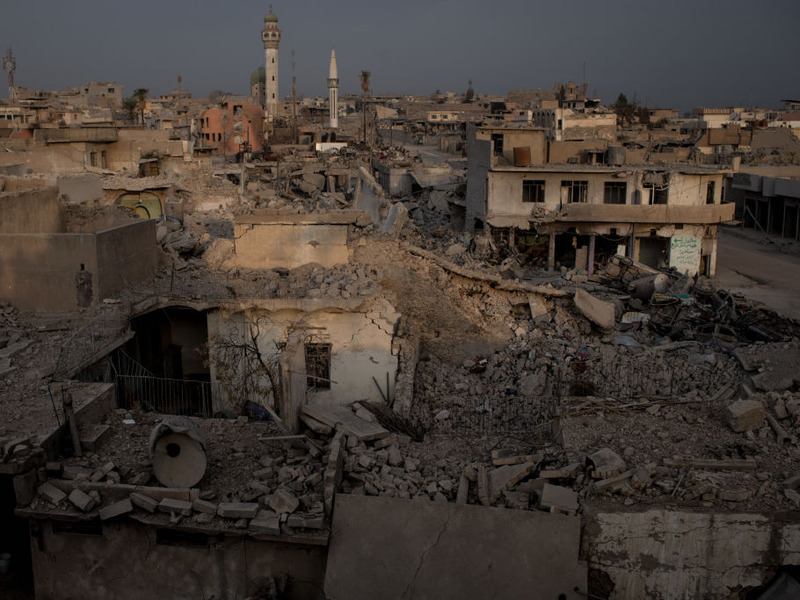 Chris McGrath/Getty ImagesDestroyed buildings of Mosul months after its liberation from ISIS, who intentionally destroyed infrastructure, laced neighbourhoods with booby traps and bombs, leaving the city in ruins as they retreated. UN estimates rebuilding Mosul will cost around $US1 billion. Drum-Cussac also points out the country’s crumbling infrastructure, a devastating result of decades of war and sanctions. Travellers to Central African Republic face political, medical and security risks. The country remains politically unstable and corrupt. Malaria is prevalent, with substandard medical care available for travellers, and the nation remains vulnerable to civil unrest. “The US government has limited ability to provide emergency services to US citizens in the Central African Republic,” its travel advisory says, citing regular kidnappings and murder of civilians by armed groups. 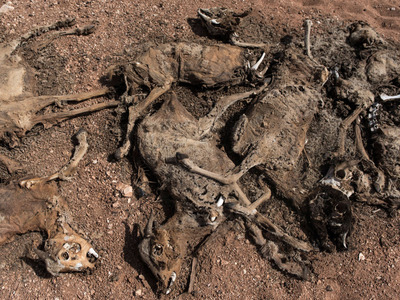 Andrew Renneisen/Getty ImagesA pile of dead goats accumulated outside a camp of internally displaced people in Karin Sarmayo, Somalia. Over half of the country’s population faces food insecurity as the country nears the brink of famine. According to a US State Department travel advisory from July 2018, Somalia is still plagued by “crime, terrorism, and piracy.” Travellers are urged not to visit. The country is also listed as one of the five riskiest in each of Drum-Cussac’s categories. Terrorist group al-Shabaab continues carrying out attacks, and are frequently targeted by US air and drone strikes; both have caused dire infrastructural challenges. Somalia is also considered one of the world’s most corrupt nations, with severe food insecurity and a prevalence of unexploded ordnance. Travellers to the country would also risk contracting malaria and cholera. 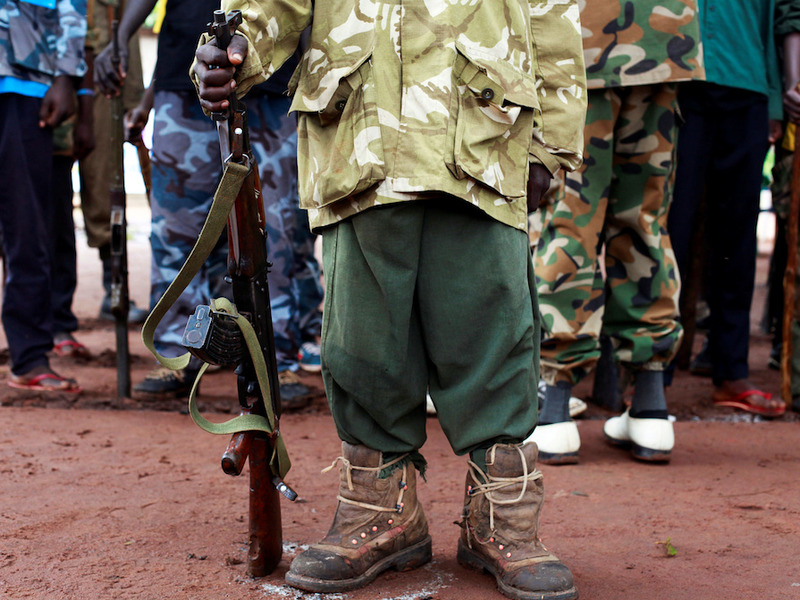 Andreea Campeanu/Reuters photoA former child soldier holds a gun during a release ceremony outside Yambio, Republic of South Sudan in August 2018. Since its 19th-century inception, the region now known as the Republic of South Sudan has remained politically and economically unstable. Its place in the top five riskiest countries for four categories places it as the fifth overall riskiest country in the world for travellers. The US State Department advises not to travel to South Sudan, citing crime and armed conflict and noting limited access to government emergency assistance. 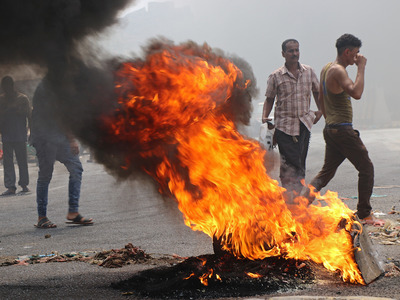 Drum-Cussac notes the nation is rife with corruption as well as “political and ethnic tensions.” Travellers also risk a number of diseases with limited medical care and unsafe drinking water. South Sudan is also littered with landmines and unexploded ordnance and lacks infrastructure. Reuters stringer photoA boot stained with blood at the site of twin car bombs in Benghazi, Libya in January 2018. Plagued by terrorist groups, crime, civil unrest, and armed conflict, Libya ranks as the fourth riskiest country for travel. The US Embassy in Tripoli shut down in 2014, making it impossible for American travellers to receive even routine government assistance in Libya. 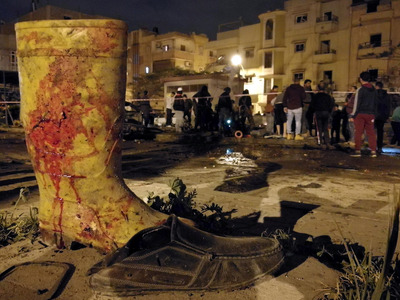 The suspension followed the 2012 attack of the US mission in Benghazi that resulted in the deaths of four Americans. Due to the high threat of violence, including kidnapping for ransom, the US State Department advises travellers to the country draft a will and designate beneficiaries prior to departure. 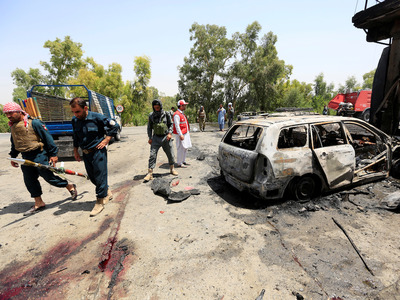 Parwiz/Reuters photoAfghan policemen inspect the site of a suicide attack in Jalalabad city in July 2018. The Taliban is a considerable threat to travellers visiting Afghanistan, which Drum-Cussac says is also one of the most “heavily-mined” countries in the world. The CIA lists 13 known terrorism groups that operate in the country, and the US entered its 18th year of war there on October 7. Fawaz Salman/Reuters photoProtesters block a street with burning tires in Aden in September 2018 after Yemeni currency plunged. “No part of Yemen is immune to violence,” according to the US State Deparment. Its travel advisory also says Yemen is the site of the world’s largest cholera outbreak, with virtually no access to quality medical care. The nation, rife with political insecurity, terrorism, and armed conflict, is Drum-Cussac’s second riskiest country for travellers. Overall, Syria presents the most travel risks for visitors. It ranks as the most dangerous in nearly all categories, falling behind Libya only in terms of security risks. The US State Department travel advisory urges travellers to create a will and leave DNA samples with a medical provider before departure.